Nominations in the ‘Patient Choice’ category in the annual MFT Excellence Awards are now closed! Home News Nominations in the ‘Patient Choice’ category in the annual MFT Excellence Awards are now closed! 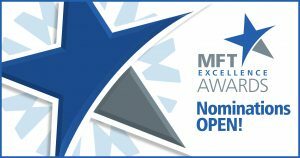 Nominations are now CLOSED for the annual MFT Excellence Awards – thanks for all your votes! The Excellence Awards are the annual staff awards at Manchester University NHS Foundation Trust (MFT), where the organisation recognises and gives thanks to all our deserving individuals, teams and departments and celebrates their incredible achievements. The Patient Choice Award will be given to a member of staff or team nominated by the public for providing extraordinary patient care and is open to all staff in patient-facing roles. MFT has more than 20,000 members of staff working across nine hospital sites and community services. We know that so many go over and above for our patients, and each other, every single day. For this reason, the MFT Excellence Awards are an important opportunity to recognise the very best of our incredible and diverse workforce. The winners will be announced in a sponsored event at the Principal Hotel Manchester in early 2018.